The 331st Royal Battle Mech Division „Minnesota Tribe“  is looking for reinforcements! The unit has been around and active since 1996 and has called MW3-MW4-MW4:Merc/MC1-MC2 its home(s) during this time, where our focus has been mainly on “No respawn resource leagues”. In the past we were members of the NBT league and its various subsidiaries for a long time. CW -> Here our current main focus is to build up a strong presence outside of the European time zones and to reinforce the European squad. We offer a good atmosphere and good team battles with our members as well as tactical battles in league settings. Tactical reviews after league games as well as the passing on of our knowledge of the Mech warrior universe and gameplay are also part of the package. 1. A sense of humour and a strong sense team play. 3. The ability to take and give constructive criticism. Contact: Rushin Roulette (English Liaison officer), Grauluchs (Recruitment officer) and ClaymoreReIIik (unit leader) via PM or fill in the Join us section in our forums and we will contact you. We are looking forward to your application, whether you are a veteran or a newcomer (however please note, the English section is currently under construction, so there will not be many players online who can help you outside of the European time zones). Let us conquer the Mech Warrior universe together!!! Edited by Rushin Roulette, 21 December 2015 - 01:27 AM. Viel Erfolg beim rekrutieren und zocken ! 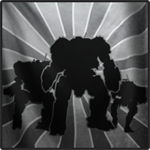 Join us in re-writing Battletech history with the remnants of the Clan Wolverine etching their names into the minds of the clanners. The word of the  will be spread further through the Inner and outer Sphere. The battle for Tukayyid is being prepared and we are getting ready to defend the Inner Sphere and the FRR against the test tube possie (redneck clanners). Join the  and you will be receiving the maximum amount of Loyalty points for the FRR faction for this great event, as we have signed a contract with the longest time window (permanent). Currently we are ranked 5th in the FRR Units list (and that with a Maximum of 15 players in the Euro prime time), and our sights are set even higher. Join the  and be part of this story! Write us a PM here, fill out our Join us form on our page or join us over TS. 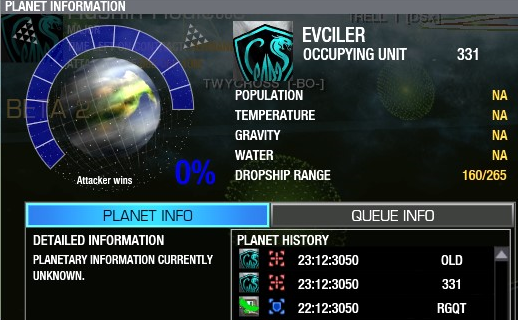 The CW map has been reset and so have the planet tags. It's time to re-aquire the lost planets and hold them in the name of the 331st. The 331st continues to stay loyal to the FRR and is still battling the clan brood. However, the ongoing fights are taking their toll. Many pilots have gone into their well earned retirement, others have not returned from the battlefield after having fallen valiantly. The fights on the MRBC and the MBO fronts are getting thinner and thinner. Young women and men, join the ranks and become part of the history. Join in as a Mech Pilot of the 331st Minnesota Tribe and fight on our side against the Clans and measure yourself against the other top units. Ich hätte Interesse, einer deutschen FRR Unit beizutreten ! Schickt mir doch mal eure Ts-Daten, dann können wir ein paar Runden zusammen drehen !? We would like to thank your brothers and sisters on the FRR for the great time and the fun CW matches. The 331st is taking a short break from the permanent FRR contract to tour the various factions for Fame, Fortune and Mech bays. But worry not, we will return after our tour with accounts filled to the brim with air miles (or would that be light year miles? ), new exotic forms of alcoholic bevarages to compare to the great FRR mead and probably a sun burn or 2. Until that time comes, we wish our brothers and sisters in the FRR good hunting, good salvage and keep a barrel of mead for our return in the near future. Edited by Rushin Roulette, 11 September 2015 - 01:53 PM. AAAAAAAAAAAAAAAAAAAAAAnnd we're Back with a vengance and a bunch of stolen Mechbays from the other factions. Its good to be home again. Edited by Rushin Roulette, 19 December 2015 - 02:08 PM. Nom nom nom Wolf stew is the best. Soon to come roast falcon. Merry Christmas and a happy holiday to you all. As posted, here is the result of a short excurstion with the grill to the Falcon teritory. However to be fair, the planet tagging system seems to have wanted to give the planet to OLD and us at the same time for some reason as we only attacked the planet without defending it after it turned. Next up back to shaving wolves. Carry on Space vikings and lets send a few more clanners to Valhalla as entertainment for our fallen comrades. Its good to see new names in our TS and the hard work is showing in CW. Lets see to it that the upcoming Clan buffs and IS nerfs are ineffective against the teamwork of the FRR (Units and solo players working together and using the FRR Hub effectively). Stand or fall together is not a separate option. We stand as one and they fall as one!